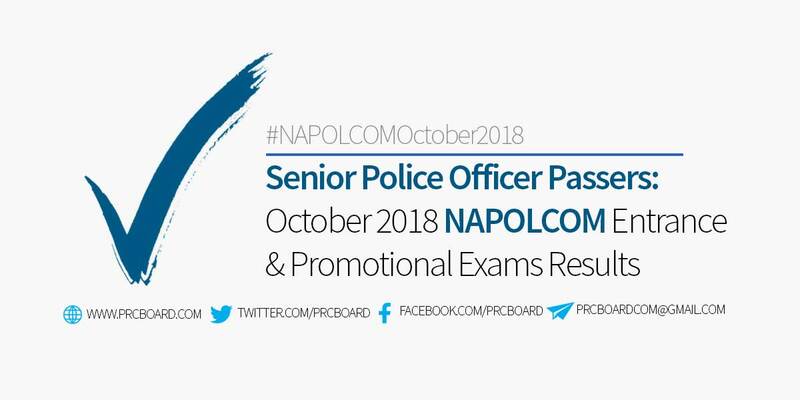 MANILA, Philippines - The October 2018 NAPOLCOM exam results and list of passers for Senior Police Officer promotional exams are available at this website as soon as the National Police Commission officially released the results online three (3) months after the date of examination. Below is the complete list of passers for October 2018 Senior Police Officer promotional exams, courtesy of NAPOLCOM. 18-10-0501801, TOLEDO, MARJON FRANCIS .